Engineered for small to mid-size businesses, the FO-IS125N is a new generation all-in-one Document Communication System that allows business users to securely communicate documents the way they want to. 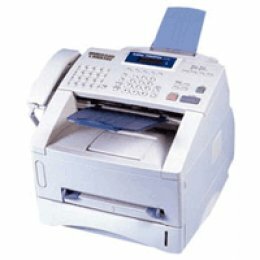 Not only can documents be sent to a fax machine but with Sharp's Image SENDER fax-based MFP, documents can easily be sent to e-mail addresses, network folders or FTP sites, so they can be distributed in the most efficient manner. Designed to fit on a filing cabinet, bookcase, or tabletop, the FO-IS125N is an easy-to-operate solution for your document workflow needs. Sharp Image SENDER fax-based MFPScan documents and send them to the destination you need - e-mail addresses, network folders, FTP sites or fax machines. Advanced Network ConnectivityConnect to popular Windows network environments with auto-switching 10 Base-T / 100 Base TX Ethernet port and TCP/IP, LDAP, POP, SMTP, SMB and FTP protocol support. Authorized Transmission FunctionAutomates the approval process and document delivery of faxes and e-mails to protect companies from unauthorized document distribution. Global Address Book Access your company's LDAP directory to easily look up and send documents to e-mail addresses or fax machines or use its on-board memory to store addresses in the machine itself. Semi-automatic Duplex ScanningDuplex scan key prompts users to flip over duplex originals when scanning them for transmission or copy. 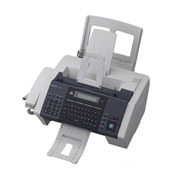 Eliminates the need to separate pages at the copier. QWERTY keyboardEasily enter e-mail addresses and other data on the machine’s QWERTY keyboard and numeric keypad. Network Laser Printer & Digital Copier Using plain paper laser technology, workgroups can print and copy at speeds up to 12 pages per minute. Advanced SecurityWith features such as web-based management, user authentication, user control, secure fax release and authorized transmission, the FO-IS125N helps organizations adhere to company and government regulations.